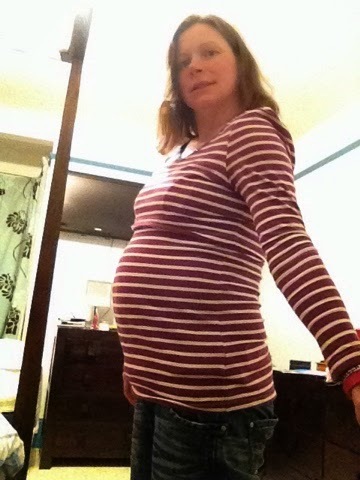 Seaside Belle: Ten reasons I'm not ready for my due date! Ten reasons I'm not ready for my due date! Yesterday was my due date for my fourth child. I must be the only pregnant woman who is willing this baby to hold on for a little while longer. And possibly the most disorganised mother-to-be in the country. Here are ten reasons why I need to stay pregnant for just a few more days - well, maybe another week. 1. I haven't finished work yet. I'm self-employed and I bill by the calendar month. So when I told my biggest client that I would be taking some time off, I thought it would be helpful, and easier, to work right up to the end of March. But I have to compile some stats reports based on social media traffic in the calendar month of March. So, really, I need to write that report on April 1. So, baby can't actually make an appearance until after then. In fact, it had better wait until I've sent the invoice! 2. 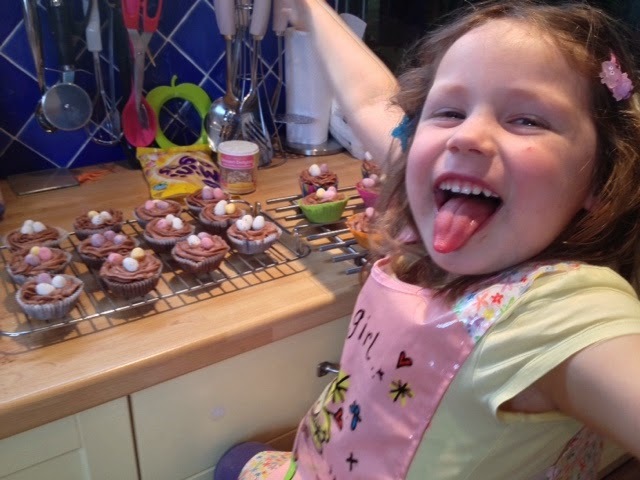 I haven't done any nesting yet (unless you count the Easter Nest Cup Cakes I made with 4 year old B at the weekend). 3. I haven't finished compiling my labour playlist. I've started, but the music isn't in the right order and I haven't added all the right tracks yet. 4. My favourite midwife is on annual leave until after the Easter weekend. And, I'd really like her to be on call to deliver this baby because I'm not particularly keen on one of the other midwives on the team. And, my favourite midwife has missed all my births so far. 5. This is the last time I'm going to be pregnant. Ever. It seems so final. I'm not sure I'm ready to evict this small being yet. I just want to enjoy the kicks and the hard, round ball that is currently preventing me from tying my shoe laces for just a few more days. I don't feel like I've had enough time to appreciate it yet. 6. I haven't finished washing the baby clothes yet. We haven't even washed the car seat covers. 7. I haven't cooked any meals for the freezer. So if baby arrives now, the family will starve - or just have to live on takeaway, crisps, breakfast cereal and Easter eggs. 8. I'm too knackered. I can count on the fingers of one hand the number of nights I've managed a full night's sleep in the last four and a half years! If it's not my 2 year old trotting in halfway through the night and then kicking me in the back for an hour or so, I'm just waking up randomly thinking about all the things I still have left to do! 9. I haven't stocked up on post birth painkillers. This is my 4th and they say the after pains get worse every time. The were pretty horrific last time round so I really need to stock up on painkillers if I've got any hope of getting through the first few days. 10. I've not done enough perineal massage! I honestly really planned to do some this time. I've torn with every birth, so I kind of really should have had a go. It's just, I've been a bit too squeamish and there's always been something else to do. It's not all bad. Even though I'm planning a home birth, I have actually packed a just-in-case hospital bag. I've even bought a tarpaulin to protect the bathroom floor and dumped a pile of old towels in the bathroom. I've even put a disposable bed mat on our mattress in case my waters go. How prepared were you for your baby's birth? Do you get more complacent the more babies you have? Jo... did you get to use your old towels and your tarp? How did it go this time? Did the midwives arrive in time for a change? I've heard nothing from anyone, and don't like to phone as I know from experience that the phone call will always come when you're just settling down for a rare nap or trying to cook the dinner or something.